The Axis Super Sport has all the great features of the Axis guitar with a few upgraded options for ultimate versatility. 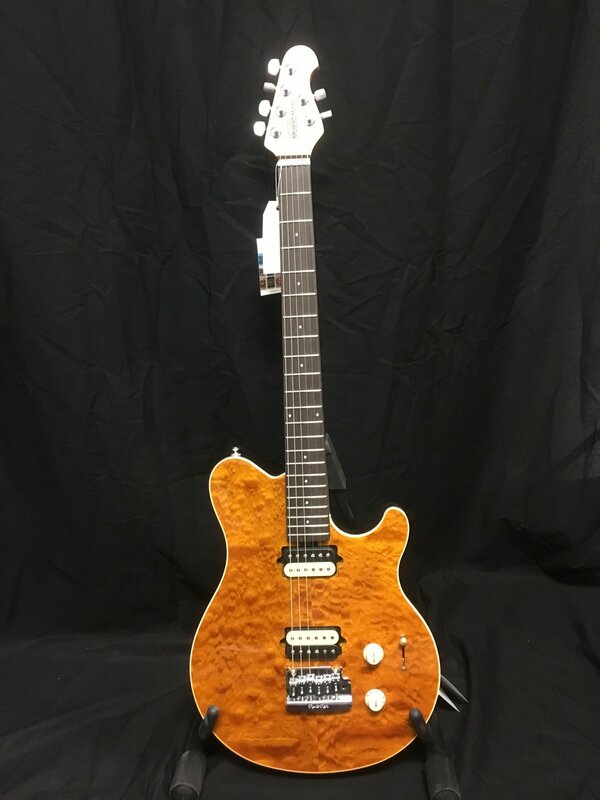 Beautiful quilt or flame maple veneer over basswood with custom DiMarzio electronics are controlled by a five-way lever switch offering split coil tonal combinations unavailable on the Axis. The Axis Super Sport asymmetric hard rock maple neck allows for comfortable hand and finger positions across all 22 frets, while the Music Man vintage style tremolo and locking Schaller tuners make string changing quick and easy keeping the guitar perfectly in tune.